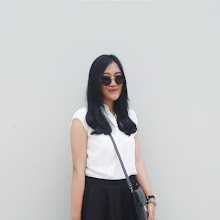 It’s been a while since I promised you to post a fashion column here. I’m so sorry because I’ve been so busy lately, campus’s schedule has been soooo tense and I’ve got a lot of things to do. And yeah I’ve been trying this new look of me with no bangs, hoping it would look nice and more mature. 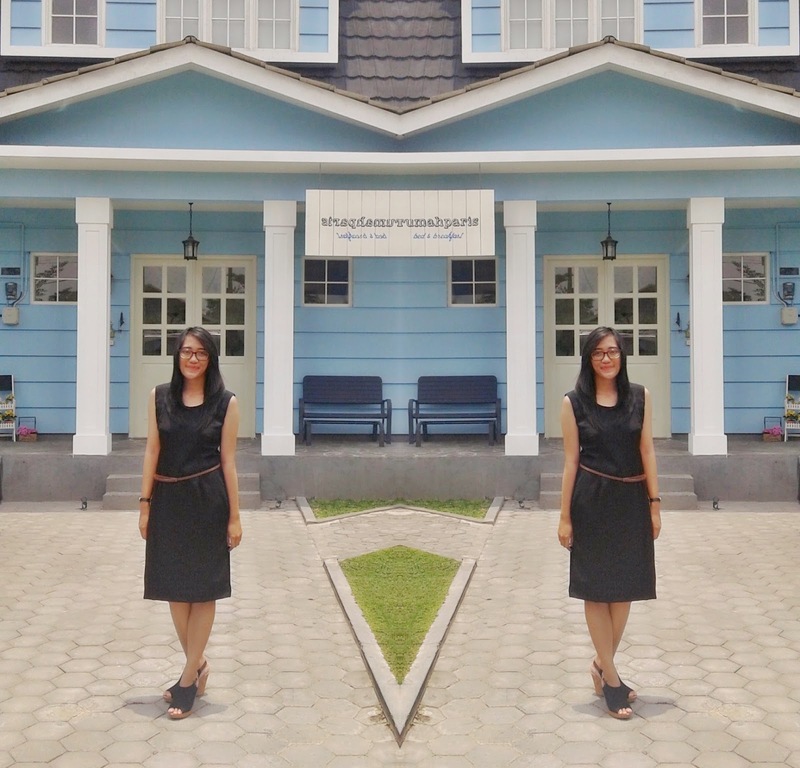 Few days ago, me with my girls went to this beautiful house (actually it’s a hotel, but it looks just exactly like a tiny cute house) called Rumah Paris Bed & Breakfast. We went there to take some beautiful pictures but turned out the house was rent by a family for 2 days so we could only took pictures in front of the house. From what I read before, the interior of this house is so adorable and cute and vintage, just exactly like a little house in Paris. Sad that we couldn’t go inside this house, we went to our next destination: breakfast! We chose this little movie-themed café in Prawirotaman, called Cinema Bakery. And surprisingly there’s a little garden inside it! Well at that day, I wore my favorite dress. 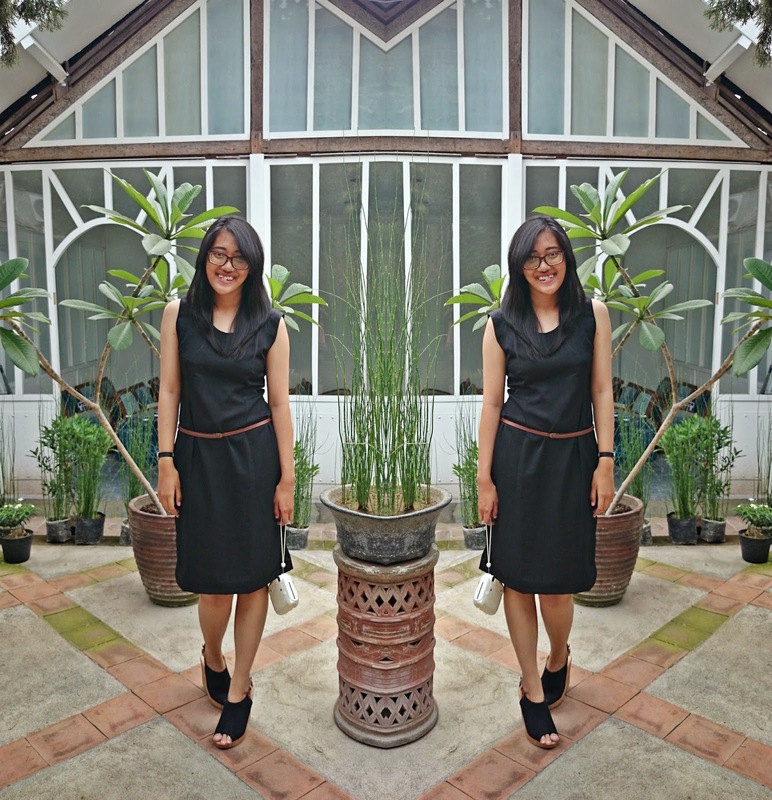 You will not believe that I found this little black dress in a garage sale for only IDR 20k! And then I modified the cut so it looks new and not-so-old. It prove that you don't always need expensive and fancy dresses to look nice! And I put on this beautiful wedges, which was my first wedges back at the time. Yeah me and my girls actually agreed to dress up and wear beautiful clothes that day.